Tej Dhakar joined SNHU in 1995 and until recently was the chair of the department. During his eight-year tenure as the chair, he led the development of a number of courses and programs in quantitative analysis, six sigma quality, operations and project management. Besides teaching face-to-face classes, Tej has also been closely associated with the online program at SNHU. He has developed six courses and taught many online classes for the College of Continuing and Online Education at SNHU. He has also been teaching advanced quantitative methods classes in the Ph.D. program and assisting the Ph.D. students with their dissertation research. Before arriving in the USA, Tej taught MBA students at the Institute of Management Technology, Ghaziabad and the University of Delhi. His business experience includes managing printing operations at Times of India and the Tata Press Limited for nine years. Tej received his Bachelor of Technology in Mechanical Engineering from the Indian Institute of Technology, his Master in Business Administration from the University of Delhi, and his Doctor of Philosophy in Management Science from the University of Alabama. He was selected for the Outstanding Graduate Research Assistant Award and the Excellence in Research by a Doctoral Student Award by the University. He has also been certified as Project Management Professional (PMP) by the Project Management Institute. Tej was selected for the membership of the Beta Gamma Sigma Honor Society for Business. He is a life member of the Production and Operations Management Society and a member of the Project Management Institute and the Decision Sciences Institute. He has also been actively serving the community in various positions on the Executive Committee of the India Association of New Hampshire for the last seventeen years. Tej's current research interests include sales forecasting, multiple level lot sizing, anomalies in the behavior of the stock market, and mixed model assembly line sequencing. His research has been published in a number of international journals including Computers and Operations Research, Advances in Business and Management Forecasting, Journal of Applied Economics, International Finance Review. Communications in Statistics, Benchmarking, International Journal of Production Research, Journal of Japan Industrial Management Association, and Journal of Korean Institute of Industrial Engineers. 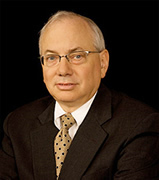 Russell S. Winer has written three books, Marketing Management, Analysis for Marketing Planning and Product Management, and a research monograph, Pricing, and has authored more than 70 papers in marketing on a variety of topics including consumer choice, marketing research methodology, marketing planning, advertising, and pricing. Professor Winer has served two terms as the editor of the Journal of Marketing Research, he is the past co-editor of Journal of Interactive Marketing and is currently an Associate Editor of the International Journal of Research in Marketing. He is the co-editor of the Review of Marketing Science, and he is on the editorial boards of the Journal of Marketing, the Journal of Marketing Research, and Marketing Science. His professional career has been focused on global education and business with over 10 years of international managerial experience at Institutions in Latin America and North America. Ricardo has great knowledge in implementing international products and services in the Brazilian educational market, with segmented strategies and partnerships, including policies and procedures for study abroad, exchange, dual degree, summer courses, certificate and language programs, in virtual, face to face and hybrid formats. Created and delivered the Doing Business in Brazil, executive program, graduate and undergraduate students around the world. Sent and received +100 cohorts and +4.2K students from schools such as UCLA Anderson, Harvard, Rotman, Wharton, NYU Stern, EADA, UPC Catalunya, CNAM, and others. Former International Office Manager at Universidade Anhembi Morumbi, International Partnerships Manager at Business School São Paulo, he was responsible for all the internationality aspects for both institutions including: partnerships, inbound and outbound (dual degrees, semester, short) and non-mobility programs. He has structured the international office at Business School São Paulo, including the implementation of the Doing Business In Brazil Program, written internationality articles for the BSP magazine. 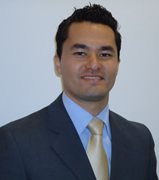 He was also the Country Manager Brazil at Human International Academy - USA, Resident Director at SUNY New Paltz (USA). He has presented in several workshops and seminars about Doing Business In Brazil, Student Exchange and Study Abroad Best Practices and Lessons Learned, Inbound in Brazil: Foreign Student Employability, in the Americas and Europe. He holds a Master and Bachelor degrees in Business Administration from State University of New York at New Paltz – USA, Executive MBA (expct’16) and Master in International Management from Business School São Paulo – Brazil, Executive business courses from UCLA Anderson – USA, Suffolk University – USA, Babson College – USA, Escuela de Organización Industrial – Spain, Universidad Andres Bello – Chile. His specialties are: Student Experience Expert, Education Management, Executive Education, Strategic Partnerships, International Student Recruitment, Business Development, International Programs, Curriculum Development.